Maintaining a strong relationship can seem almost impossible at times. From working on communication issues to remembering anniversaries, you have your work cut out for you. If you want to impress a crush or your current girlfriend, try sending them a good night message. A good night text for her shows your girlfriend how much you care. With options ranging from poetic to cute, these good text messages are sure to bring a smile to her face. Every girl loves to get mushy texts from her boyfriend or crush. If you want to make your girlfriend, partner, or crush happy, try sending her one of these messages at night. 1. Each night, I think of a reason I love you for every star that I see in the sky. Tonight, I ran out of stars. It is impossible to count the reasons why I love you because those reasons are infinite. 2. Everyday, I realize yet again why I love you. You prove to me again and again how amazing and wonderful you are. From now on, I will spend the entirety of my day trying to become the man that you deserve. 3. You are the one for me. When I fall asleep, my last wish is to hold you in my arms. From the moment I wake up in the morning to the second I lay down my head, every thought that I have is for you. 4. When we first fell in love, I thought it would be impossible to ever love you more than I already did. Everyday, I love you more than I did the day before. I cannot imagine how it could be possible to love you this much, but I do. I cannot wait until I can see you again. 5. Sweet dreams, my queen, my love and my everything. Sleep well and dream of me. 6. You are the world to me. Every thing that I see reminds me of you. Never forget just how much you mean to me. 7. Tonight, tomorrow and forever, you are in my heart. Sweet dreams, beautiful. 8. The twinkling of the stars is a temporary beauty that disappears each morning as the sun rise. In this world, the only thing permanent is my heart which beats permanently for you. 9. As the clock quickly counts down the seconds until midnight, I wanted to take a moment to let you know just what you mean to me. You are the most beautiful, gorgeous woman that ever existed. Since I met you, you have become my entire universe. I love you, beautiful. Good night. 10. Spending only a few hours away from your side is too much for someone to ask. A night without you is a painful task. With you away, I pass the moments and wish for night to pass quickly into day. I am unable to be apart from you, my love. When a relationship is just beginning, each moment apart can seem like a lifetime. If you want to catch her attention and ensure she knows how much you like her, make sure to send a good night text for her. These messages will make sure that she goes to sleep thinking of you. Keep in mind that daily sentimental messages can be taken for granted. If you want each message to have maximum impact, you cannot send a heartfelt text every night. Mix up your normal “Sweet dreams” with occasional loving messages. This will ensure that she actually reads and understands the more sentimental messages when they arrive. 11. Today has been completely insane and almost unbearable. The thought of not seeing you all day had me going insane. Although it is past time for bed, I could not go to sleep without at least wishing you good night. 12. Every night, thoughts of you dart through my mind. It is impossible for me to fall asleep because my waking dreams of you are better than my best dreams during the night. 13. Each night, I fall asleep with a smile on my face. Just the thought of seeing you again tomorrow makes me happy. Good night, gorgeous. 14. I think that the moon is angry at me tonight. It is jealous because I said that no one was able to light up my evening like my amazing girlfriend. Here’s to hoping that your dreams tonight are as sweet and bright as you are. 15. As long as your dreams involve me and you, here is to hoping that each of your wishes come true. Sweet dreams. 16. Whenever I think about you, I dream big plans for the future. With you at my side, I see all of my dreams coming true. 17. If only I could be the cool night breeze, I would spend each night caressing your skin and giving you goosebumps as you rest. 18. The night sky is filled with hundreds, thousands and millions of stars. Despite the many stars in the sky, you are the only star that matters in my life. 19. It is impossible to describe how I feel when you are away. The moment I saw you, it was like the sun suddenly shined in my entire life. The dark loneliness that I feel when you are gone is impossible to deal with. All I can think about is cuddling you again and holding you in my arms. 20. During the daytime, you are the sun that shines and powers my days. At night, you are the moon that brightens my dreams. Mushy, sentimental messages are generally fine, but you need to mix it up on occasion. A cute good night text for her will make your girlfriend grin in delight. Send these messages several times a week to make her fall more in love with you. Like every text on this page, you can always adjust these messages so that they suit your specific relationship more closely. 21. If you let me, I can be the warrior who fights away the monsters of your nightmares and the man who gives you all of your sweetest dreams. Sleep well. 22. My dreams, memories and goals only have one thing in common: you. You are all that matters, and you are my entire world. 23. Each evening, I wish that I could be an owl. If I could transform into an owl, I would fly up to your window and gaze at you all night as you dream. I wish you were here with me. 24. I do not want to be the blanket that you snuggle in. Nor do I want to be the bed you wriggle against. All I want to be is the guy that you can snuggle, wiggle and cuddle with. Here is to wishing you sweet dreams. 25. Someday, I need to send an email to Facebook and thank them. Without your pictures on Facebook to keep me warm at night, each evening would be suffocating in its loneliness without you. 26. Having to be apart will not last forever; when morning comes, we shall be together again. The only thing that lasts forever is our love. Hugs and kisses. 27. Here is your nightly reminder of me. The night will pass into day. As it does, I will be like the night sky that blankets the world. 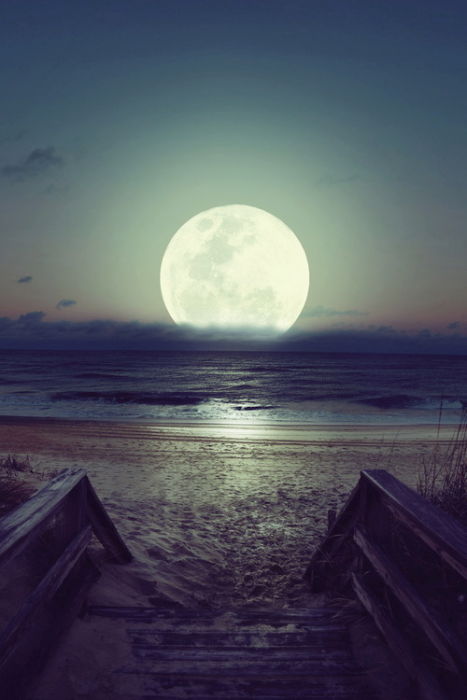 I will cover you with warmth and shine like the moon to light your dreams. 28. Never in my life have I felt so alone. Without your warmth brightening each second of my life, I feel so lonely in the dark. Every second that we are apart finds me thinking of you dearly. Good night. 30. I keep hugging the pillow and hoping that its you. It does not work, but I keep trying anyways. Being away from you is impossible. Whether you are messaging your girlfriend or just need a text for a girl from gym class, these messages will work. Use these good night texts for her to brighten her night and draw her closer to you. 31. Over the last few days, I have developed a love-hate relationship with the night. I hate the evening because it means that we have to be apart, but I also love night time because I can dream of you. 32. It is quickly growing late—I know that it is already past midnight. I would wait to talk to you tomorrow, but I just cannot wait to tell you how often thoughts of you cross my mind. I cannot wait until I kiss your lips again. 33. Even during the hottest summer night, thoughts of you send tantalizing shivers down my spine. In winters, thinking of you gives me a warmth that lasts me for the entire night. 34. The night may find me unbelievably tired and sleepy, but I can never go to sleep until I message my sweetie. Sweet dreams, beautiful. May all your dreams be as wonderful as you are. 35. It may be late, but I could not sleep without texting you first. I had to say sweet dreams who is the reason for all of my best memories and favorite hopes for the future. 36. As day turns into night, I wish I could turn the night sky into a canvas on which I could paint the dreams of us together. Good night, lovely. 37. This message is being sent with several attachments. A smile to brighten your night, a kiss to warm your dreams and a hug to remind you of me. Sweet dreams, angel. 38. Here is to hoping that the stars lean in to kiss you while you sleep and give you dreams of my love so deep. 39. Technically, I am asleep right now. Or at least I am supposed to be. It is hard to sleep when my daydreams of you are more amazing than any dream at night could ever be. 40. This message comes with a guarantee that you will have sweet dreams. When you wake up, there will be a smile on your face. Any feedback, comments or complaints must be forwarded to the Boyfriend Department where they will be given an extra kiss and hug. You do not have to send Shakespearean prose every night. For most nights, a short-but-sweet message is all that is needed to let your girlfriend know that you are thinking of her. Before you fall asleep each night, try sending one of these short good night texts for her. 41. Here is to hoping that all of your dreams are as beautiful as you are. 42. Sweet dreams, beautiful. I cannot wait until tomorrow when I can see you again. 43. Let’s fall asleep quickly and reconvene in our dreams. 44. Good night and sleep tight. Please dream of me all night. 45. Good night, don’t let the bed bugs bite! 47. Falling asleep is impossible when you are not in my arms. 48. I love you, gorgeous. Sleep well. 49. Good night, my love. I cannot wait until I see you tomorrow. 50. May all of your dreams be as wonderful as you. May the stars guide you through the night and the moon brighten your dreams. Before you use any of these good night texts for her, make sure you consider where your relationship is at. A nightly declaration of love is not always appropriate for a fledgling relationship. Additionally, remember to mix up your nightly texts so that they do not become taken for granted. If you have any other messages that work well, make sure to leave a comment below listing your favorites. These are great if you don’t have anything to put in her drink. ?